A Celebration of Catherine's life took place at Newnham College on Saturday 18th June, 2016. Lionel Bently's address can be found here: Address by Lionel Bently. "I'm really feeling very difficult at this moment – I still can't believe Catherine left this world. As I am browsing her works, every word bounces into my eyes so lively. I remember talking to Catherine when I tried to invite her to our workshop on media law in September 2013. She smiled at me regretfully and complained that her problem was that her schedule was so full ... Everything was just like yesterday. She has shown her love for the most scintillating parts of the world that God has created for us: music, literature, law... If I may use an old Chinese saying to describe such a respectable and talented person like Catherine passing away so early: even "the Heaven is envious of such a person of outstanding abilities" (天妒英才). "I met Catherine by proxy through her wonderful book about the early days of copyright - Victorian times. It is not often when reading an IP book that one says to oneself: "Here is a real scholar, one whose work will last." I did for that book - compelling." "I met her at several CIPIL and other functions - the more you saw her in the better she was." 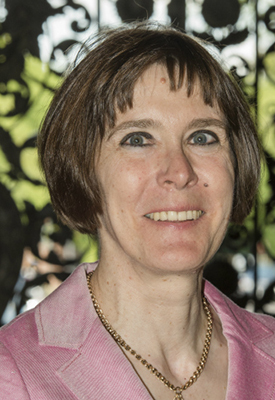 "On my arrival in Cambridge in 1990 I joined in teaching Intellectual Property as an LL.M. subject. There, among a group of engagingly bright students, was Catherine Seville. Already immersed in literature and other fine arts, she had obtained her London University M.Mus from the Royal Academy of Music. She had then been admitted by Newnham as an Affiliated Student in order to read for the English Tripos Part II during the academic years 1985-7. Intent on finding a discipline that would furnish an academic career, she turned to law. In Cambridge’s generous view, her undergraduate achievements showed capacities that would justify registering her for an LLM. She had no difficulty in fulfilling that promise and saw in the law of copyright the branch of intellectual property that she most wanted to study in depth. I was appointed her research degree supervisor. Soon enough I realised that I had as much to learn from her as she from me. Her approach was historical and the training for this would be much enhanced by modern historians of Britain, notably at Newnham – the College where she built a multi-faceted core for her academic existence. She appreciated how the eighteenth century history of copyright had already been explored by modern scholars. She set out to continue that work through the decades after the House of Commons franchise began to be reformed in 1832. By 1842 a general revision of the basic principles of copyright was on the statute book. Catherine completed her Ph.D. thesis with address and then revised it for publication by CUP (Literary Copyright Reform in Early Victorian England (1999)). In it she tracked two basic lines of development. The first brought out the role of politically influential individuals in the movements for and against change in the concept, scope and consequences of copyright. The second traced the involvement of individuals and groups in reforms affecting their own engagements in the book trade. Following her first track she found a hero in the person of Thomas Noon Talfourd (1795-1854). He was a barrister of non-conformist stock who took up a range of radical liberal causes. Only in his last six years did he become a judge of the Court of Common Pleas. Before that he had been prominent as a social reformer of the law affecting the custody of children, and a political reformer of copyright. He was a journalist and MP for Reading; but his lasting reputation was as a playwright who wrote pieces rooted in Hellenic classicism. His first endeavour in this sphere was his tragedy, Ion, first publicly performed in 1836. It was a grim exposure of the effects of autocratic power upon Adrastus, king of Argos, whose people suffered under a Delphic prophesy that their plight would continue so long as any inheritor of the kingdom was a scion of his family. His own behaviour went unchecked by any decent restraint deriving from his own personality. In the drama Argos is rescued from its hellish condition by the young Ion, but only after it is revealed that he is the son of Adrastus who was lost at birth; therefore to undo the prophesy that damns Argos he must kill himself; and, after telling his beloved of his dilemma, that is what, on the final page, he proceeds to do. Immediately the clouds over the kingdom begin to lift. The play was a popular triumph in which the formidable William Macready assumed the title role for many performances. Its blank verse caught a public mood for political change, which did not recur to the same extent over Talfourd’s later efforts in the genre. For my efforts as a supervisor Catherine presented me with a copy of Ion as well as a coloured print of Talfourd, now to be seen in the Centre for Intellectual Property and Information Law. 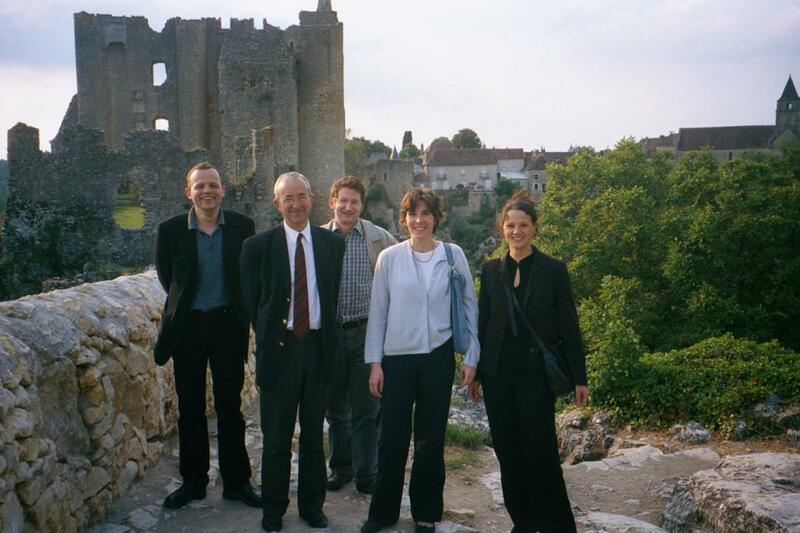 In 2004 six of us were invited to visit academic counterparts in the University of Poitiers. I produced a radically reduced synthesis of the play’s text for us to read to them and this we did (despite my leaving my passport behind – see MacQueen above). Quite what the audience made of it went unaccounted. But we – including Catherine – seemed to enjoy emitting the necessary cris de coeur. And Talfourd’s struggle to secure a modernised version of British copyright law became a central theme in her first book. Turning to the other main track of that book, Catherine tackled the role of a number of trades, which were extracting from lawmakers and enforcers the property rights that could lead to fortunes from successes with particular copyright works. She devoted much time to the careful reading of correspondence between individuals and even more to the outputs of groups of the leading publishers and printers who struggled to find common positions for the future copyright laws of Britain and its colonies. In Continental Europe civilian jurists wrote from philosophical foundations which justified the need for copyright as giving expression to authorial and artistic achievements of creators by their contributions to the advanced flowering of national cultures under industrial conditions. In common law jurisdictions however the general principles of copyright were largely developed by judicial interpretation of outline legislation and these precedents evolved when individual litigants wanted answers to questions affecting their commercial practice. Their concentration was on essentially economic rationales for what conduct by competitors could be stopped by grants of injunctions and damages in civil actions. As a leading playwright, Talfourd joined in argument over the period for which copyright should be granted. He wanted an extension of the right to the author’s life plus 60 years for most cases; but he went too far for ‘freedom of expression’ advocates of his day. Nonetheless those working for pragmatic solutions, led in the main by judges, took as their prime concern the business of underwriting the production and distribution of new material that as an incentive mostly needed copyright only for a relatively short period and for use against common forms of ‘borrowing’. 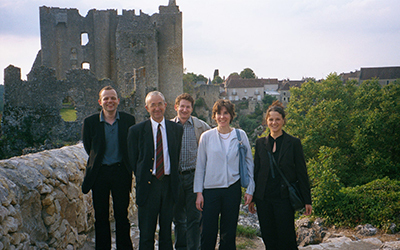 For Catherine this settled the historical paths to follow in the period after mid-century when controversies became more focussed on solutions proposed at the level of national and international politics and diplomacy. They give real assurance to her second book, The Internationalisation of Copyright Law, with its tempting sub-title, Books, Buccaneers and the Black Flag in the Nineteenth Century (CUP, 2006). We are happy to add additional messages to this page. If you would like to contribute, please send it to lb329@cam.ac.uk.